Future Teaching Technology: A Warning! Using technology in the classroom can be very exciting. Some would say it’s essential. Most teachers embrace the idea that as the years roll by, more and more electronic systems must be incorporated into teaching in order to keep pace with the ‘real world’. That being so, the future of the teaching profession as a whole looks very bleak from my perspective. There’s not just a few rocks our boat can bump into along the way – there’s a gigantic waterfall coming. I recall sweating my guts out at a local cosmetics factory in my hometown of Flint every summer whilst I was at university. An AMAZING book! A must-read for all teachers! From the age of 19 to 23, when the end of the academic year came I would spend anywhere between 10 and 12 weeks doing all kinds of routine work in the factory: screwing lids on perfume bottles (which gives you blisters if you do it all day), packing baby wipes into boxes and shrink-wrapping and packing all manner of toiletries; from talcum powder to aftershaves and even scented massage oils at one point. That was roughly ten years ago. Last year, I went back to the factory to see how things were getting along and to visit some of my old friends. Lo and behold, things had certainly changed. Machines were now screwing those lids on the perfume bottles (albeit, clumsily, I have to say), and a conveyor system cleverly placed the baby wipes into boxes. The need for human manpower had reduced somewhat, which meant less staff were being hired. I kind of suspected that machines could replace my chubby fingers even back when I was 19. Now, finally, the factory had taken this automation step. I guess it made sense from a business perspective – you don’t have to pay a machine a salary, and it will never argue with you. It just does what it’s designed or programmed to do. End of story. That got me thinking about my job as an educator. Could I be replaced with machines, technology or even robots now that I’ve graduated from the perfume factory and become a teacher? Instructional Software – A Wolf in Sheep’s Clothing? I’ve advocated and even praised the benefits of instructional software many times in the past. I often share my experience of using MyiMaths for the first time, and how it ‘transformed’ my teaching. I was telling the truth – the software basically replaced me. I became obsolete. In a frightening replay of my summers of fun at the cosmetics factory, I realised the fact that this software was only a few steps away from taking over completely. It taught the kids, it assessed their work and kept them engaged. All I had to do was walk around the classroom and occasionally clear up a misconception or two – something which could be done by other students. I’ve worked in international education for best part of ten years, and I’ve seen how schools can be mercilessly run like businesses – with brand identity, marketing, brand security and, of course, profit margins being the key priorities. Many would argue that this is a good thing, as to achieve success in all of these areas a school must provide a great quality of service to parents and to students. (Side note: I talk about how parents are a teacher’s key customers in this blog post here). 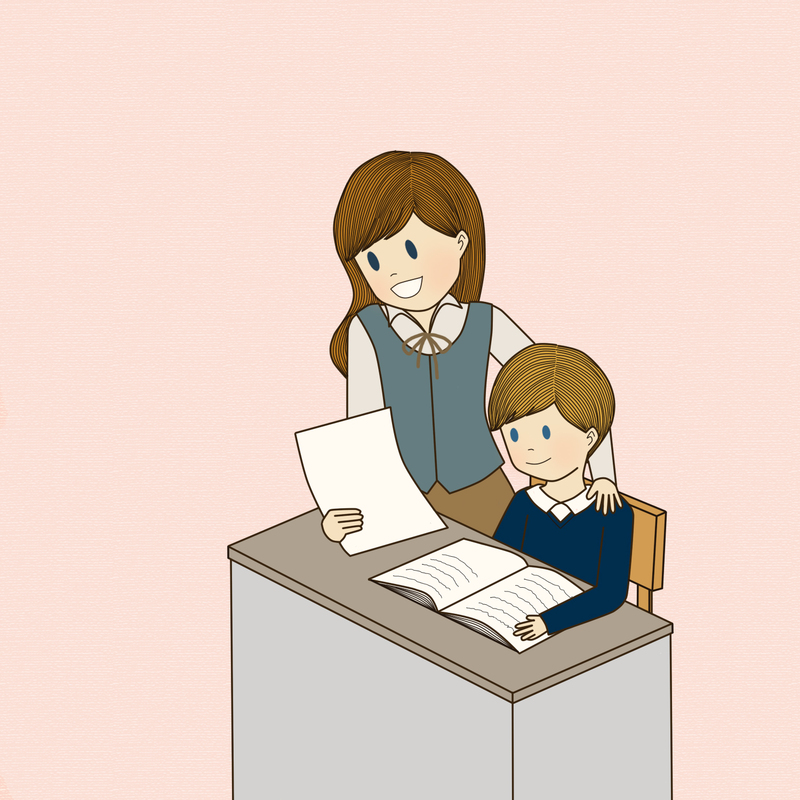 At the moment, teachers and support staff are crucial to a school’s operation. School’s just don’t work without them. But does it have to be like that? Can computers replace the human element of teaching? In theory, teachers can easily be replaced with instructional software delivered through a school’s computer suites, or even the kids’ own laptops and devices. Instructional software is so good now that it can replace almost every function of a teacher. Imagine a school where cameras are in very classroom, kids learn through instructional software, grades and assessments get automatically and rapidly sent to a central control system and progress is quick and easy to track because the software does it all for you. All you need next are classrooms with large windows, or even a Penopticon-designed building, and the need for human teachers becomes close to zero. A few ‘police’/’watchers’ are all you need. Student’s may not be happy, but they’ll be learning and on-task, which is really what most parent’s (though not all) care about. It’s enough the create a market to sell to. School owners are happy – management is easy, with very few salaries to pay. Overheads are easy to calculate, making cash-flow forecasting simple. No need to spend tons of money on recruitment each year. Can a computer really be as good as a human teacher? In 2010, an ex-physicist and professor of educational technology at Newcastle University, Sugata Mitra, conducted the second of his quirky educational technology tests. Mitra placed a computer in the middle of a remote and underdeveloped village called Kalikuppam in Tamil Nadu, India, and loaded it with molecular biology educational material in English. He then disappeared. Upon returning 75 days later he found that many of the children could answer one out four questions correct on a test he gave them. Upon leaving then returning sometime later, he was astounded to find that the kids could answer 50% of the questions. Bear in mind that these kids knew no English or any molecular biology before the computer was installed. They had no human help either, except for a non-English speaking non-Biologist, who just simply encouraged the children to play on the computer. But what about practical subjects? But surely you need humans to teach subjects such as art, design and technology and cookery, right? ICT, including the use of streaming videos and simulations, have been used successfully to teach cookery, art (where technology even seems to influencing the subject itself) and even pottery and dance. It seems inevitable that as education becomes more commercialized (e.g. With more and more UK state schools becoming academies), the focus of school owners will be solely on profit margins. How are good profit margins achieved? By spending as little as possible to achieve the best results. If schools have the opportunity to deliver excellent education, without paying salaries, they’ll take it. An initial investment in ICT, surveillance and robotic systems is worth it in the long term. Teachers, it would seem, are becoming more like wardens and facilitators as computers take over. It seems logical then that teachers should skill up in the areas of behaviour management, educational management and all things ICT – digital security (which will be essential as schools automate more), coding, software design and organisational management. If you’re very creative and hard-working, you may even want to create the software and systems that will teach our students. Even the role of examiner is no safe haven for a human teacher – more and more exams are being graded by computers than ever before. If droids can replace police, then is it too large a stretch of the imagination to see RoboTeach patrolling our classrooms in the near future? Maybe the Police Smart Services Droids will take over? I fear that the teaching profession will lose the human element very soon, and it will spring on us like a tiger waiting in the bushes. We’ll be totally unprepared unless we skill up, and wise up, soon. Technology should be embraced if it enhances learning, but we need to be careful how far we take it. A letter from a stressed-out NQT. Are you facing similar challenges? Being overwhelmed with marking, particularly that caused by homework, is a common problem for new and experienced teachers alike. In this article, I’ll examine the best ways to design and organise homework, as well as ways to avoid being bogged down and ‘up to your eyeballs’ in paperwork. If you would like an audio version of my strategies, then please listen to this excellent UKEdChat podcast (highly recommended for anyone who wants to get better at assigning and organizing homework) here. An AMAZING book! A must read for all teachers! It’s really important to make this point from the outset. A number of articles have come out in recent years causing us to question the merits of setting homework. At one point this message became so distorted that I remember sitting in on a departmental meeting when a number of teachers suggested that we shouldn’t set homework at all, as it’s totally pointless. This might be a nice excuse to use to avoid some paperwork and marking, but unfortunately it’s not true at all. In my experience, homework is only pointless if the kids never ever receive feedback, or if the homework doesn’t relate to anything on the curriculum. Then, of course, their time has been wasted. I’ll always remember one school I worked at where all of the teachers had set summer homework for their students. Piles and piles of homework were set, including big, thick booklets full of past-papers. Guess what happened when those students returned to school the next academic year; many of the teachers had changed, and the work was piled up in an empty classroom and never marked. What a tragedy! We’ll explore some ways in which we can give feedback in a timely manner today, as well as ways in which we can design our homework properly. If the homework you are setting does not fall into these categories then you are wasting both your time and the students’ time by setting it. This is an important consideration. Put yourself in the students’ shoes. Is this homework too demanding, or too easy for them? Will they actually have enough time to complete it? Is your deadline reasonable? 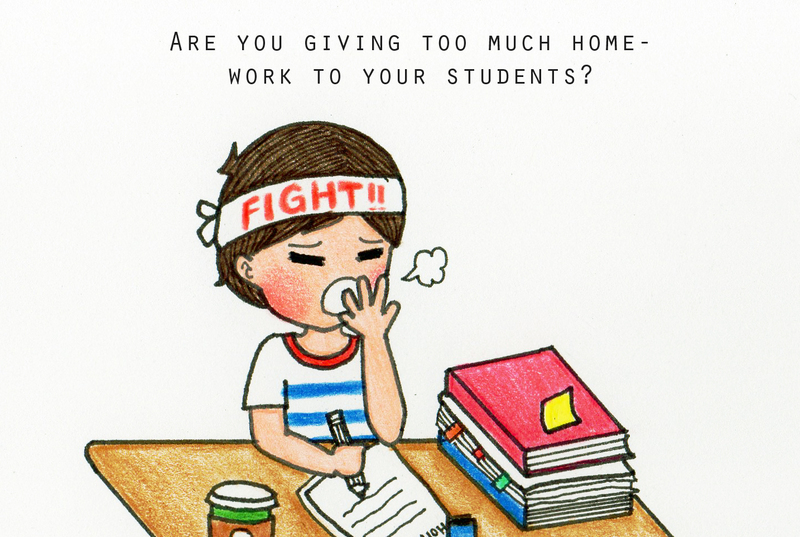 Consideration #4: How much self-study or research will your students have to do to complete your work? Where will they get their information from? If the piece of work you are setting involves preparation for content or skills soon to be covered in class, then your students might have to do some research. Is the level of self-study you are asking of your students reasonable? Are they old enough, and mature enough to be able to find this information on their own? If not, then you may need to give some tips on which websites, textbooks or other material to look at. Consideration #5: Can you mark this work? This is such an important consideration, but can be overlooked by so many teachers who are in a rush. Think carefully: if you’re setting a booklet of past-paper questions for ‘AS’ – Level students, then how is it going to be marked? Crucially, how will the students receive feedback on this work? And remember: homework really is pointless if students don’t get any feedback. Be honest with yourself. If you honestly don’t have enough time to mark such large pieces of work, then it’s much better to set smaller, manageable assignments. At least that way your students will get some feedback, which will be useful to them. Also, don’t try and do everything yourself when it comes to marking. Use peer- assessment, self-assessment and even automated assessment (such as that found on instructional software) on a regular basis. Be careful though – make sure you at least collect in your peer-assessed and self-assessed assignments afterwards just to be sure that all students have done it, and so that you can glance over for any mistakes. Students can be sneaky when they know that the teacher is trusting them with self-assessment each week by simply providing the answers to the work. Another good tip is to spend some time on the weekend planning your homework for the week ahead. What exactly will you set, and when, to allow you enough time to mark everything? How can you set decent homework that’s not too big to mark? An hour spent planning this on a Saturday is much better than four hours cramming in a marking marathon on a Sunday because you didn’t think ahead. Consideration #6: Are you organised enough? Not to sound patronizing, but are you, really? If you’re a primary school teacher then you’ll be collecting in assignments relating to different subject areas each week. If you’re working in the high school, then you’ll you’ll be collecting in work from potentially more than a hundred students on a regular basis. You need to have some kind of filing system in place for all of this work. Maybe a set of draws? Folders? Trays? Electronic folders? One strategy that absolutely works for me is that I get all of my students to complete their homework on loose sheets of paper, not their notebooks. Why? Because if they do it in their notebooks, and I haven’t had time to mark their work by the very next lesson, then it’s a nightmare having to give back notebooks again and collect them in continuously. With loose paper its easy. I collect it in, and put each group’s assignments in a set of trays. I have one set of trays for work collected in, and one set for work that is marked. It stops me from losing students’ work and losing my sanity at the same time! The students then glue the work into their notebooks afterwards. In addition to organizing my paperwork, I also organise my time. I use every Saturday morning for marking, which really saves me lots of headaches during the week. Do you set aside a fixed slot each week to do your marking? Think carefully about the demands of any research that students will have to do. Maybe you need to point them in the right direction? Use a variety of assessment strategies to mark student work. Don’t make assignments so big that you just don’t have time to make them. Make sure you have some kind of filing system in place, so that you don’t lose work. Fostering creativity in the classroom is more important now than ever before. In fact, Ofsted’s own inspection handbook for schools states, under section 133, that the spiritual development of students is shown by their “use of imagination and creativity in their learning.” I talk about the importance and excitement of encouraging creativity in the classroom, along with some practical tips, in this week’s UKEdChat podcast here. As service-based and online businesses become more numerous, the need for effective skills in marketing, social media marketing, branding and sales in the workforce will naturally increase too. In addition, the need to solve problems in a new ‘robotic era’ places increased demands on new graduates to be creative thinkers. And that’s one thing robots cannot replace: Human creativity and ingenuity. Pop: The Best Illustrator in the World! When I reflect on my 12 years of teaching experience, one very obvious example of the benefits of encouraging creativity in school comes to mind. When Pop left school after finishing her ‘A’ – Levels, she went on to study Electronic and Computer Engineering at the University of Nottingham. During her third year, back in 2015, I was busy writing my debut book, The Quick Guide to Classroom Management. I needed someone to illustrate my book in a way that would catch the excitement, childish wonder and essence of different parts of the text. Images needed to be attractive and stimulating, so that readers would not only learn from my book but enjoy it too. So who do you think was the first person to come to mind? The amazing and wonderful student who created those beautiful chemistry notes all those years ago of course: Pop. I was so honored and thankful for Pop and Khim’s work, and so happy that I could actually show my readers that my 45 secrets to Classroom Management actually worked. Pop and Khim were both very hard-working students and were a living testament to what effects personal determination, a nurturing school environment (and Traill International School is certainly that!) and good parental guidance can have on the outcomes of students’ lives. I’ve been teaching long enough to now to be able to see the end result. I’m still in touch with many of my first students I taught back in 2006 in the UK, and I’m proud to say that they are now all mature, professional, inspiring young men and women in their early to mid-twenties. I see the output that results from encouraging students to fully express themselves through their schoolwork by being creative, and the results are always profound and positive, even after decades have passed. As well as working full time and doing a regular day job, Pop is now my regular illustrator and a key factor in the success of this well-loved blog you’re reading now. 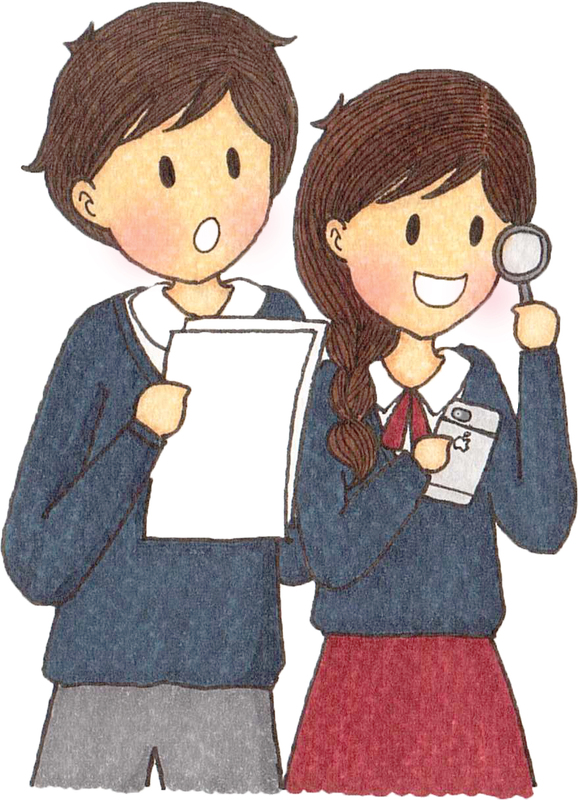 Most notably, she drew up the plans for the 7 Starter activities blog, which is my most popular article ever. The beautiful images on creativity that color today’s article were also created by her. Who else could I assign this role too? Pop has her own unique style of expressing herself through her art, which my readers absolutely love. Additionally, having known her many years, I know that she is determined and trustworthy. Her reputation speaks for itself. Get the students to decide on the success criteria or output. Once your learning objectives have been made clear to the students, (e.g. Describe the stages of cell division), ask them to decide how they can show you what they have learned. Students are nearly always very creative with this kind of task, and Pop always loved using her creative juices with this kind of work in class. If you’re doing group work with the kids then you could assign these stages to different students in each group. And that’s another point to remember about creativity: it tends to be fostered brilliantly in groups, especially when a technological output is required. I’ll never forget when I asked my IBDP Biology students to create a summary of DNA replication using technology. One group produced a website, one produced a stop-motion animation, one produced a Prezi and one produced a really funny song about the process. Try using the age-old differentiation technique of heterogeneous grouping: that is to make sure that each group contains a real mix of abilities and skill sets. Doing this, you’ll find yourself rather surprised at the quality and creativity of each group’s output. Art is not just for art class. Students can express any concept through art. Also, try using the technique of Student Teachers. This is one of my all-time favorites. In this activity, you give students responsibility for teaching part of a lesson. You’ll need to give basic instructions regarding the topic, the length of time and essential points to cover. 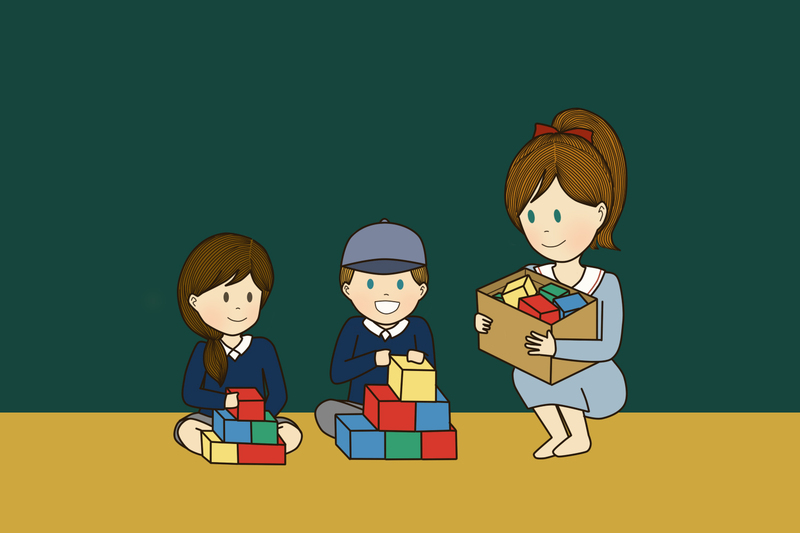 Leave the structure and delivery to them – students are nearly always incredibly creative with this! It was a cold December night at Kinmel Park Training Camp. I was all done up in camouflage: sticks and twigs even stuck out of my epaulettes. It was pitch black, and my seniors had L.S.W. rifles pointed diligently in the perceived direction of the enemy. A helicopter flew overhead. I really felt like I was a soldier, even though I was only a 13 year old Army Cadet recruit. This was awesome! I was really fortunate to have a childhood that literally depended on the outdoor environment. I grew up in the town of Flint, North Wales: A place that’s surrounded with some of the most amazing countryside in the world. As a kid, I would roll down the old moat like a sausage at Flint Castle and I’d go walking and running in the mountains, forests and on the beaches that literally surround this ancient town. I wasn’t afraid to get dirty either – riding my mountain bike down Cornist Hall hill and tumbling over in the mud, building dams in streams and digging holes to bury toy soldiers. All of this was a normal part of my childhood, and I loved it. It toughened me up and taught me skills that I’d use later in life when I would live in big cities like Bangkok and Chongqing. Joining the Army Cadets really changed my life, and I don’t think I’d be here writing this blog post as a seasoned educator now if I hadn’t have joined. What did the Army Cadets give me? That’s easy to recall: Confidence in my abilities (tons of it), the best friends in the world, a mentality of pushing through when life gets tough and a sense that being a layabout was never a good, or satisfying, way to live one’s life. I would never have been adventurous enough to leave the comfortable climes of North Wales and work abroad, for example, if it wasn’t for the tenacious spirit that the Army Cadets instilled in me. With increasing urbanization happening globally, many schoolchildren these days are not lucky enough to have the intense outdoor immersion that I had as a child. However, there are multiple, daily opportunities for outdoor learning that teachers can work into into their lessons that we will explore now. In my opinion, Outdoor Learning doesn’t just have to be achieved through a field trip, residential or a visit to a special place. Outdoor learning can happen within the immediate environment of the school, and this can be worked into many curriculum areas. Let’s explore some practical strategies. Even in the most built up of environments, schools will have some plants on site. I once worked at a school in Bangkok that had an astro-turf football pitch (so no grass) and the only accessible outdoor plants were some climbers on a back wall. But at least it was something. A funny thing happened one day at that school. I was teaching my Year 9 students about biodiversity and we all went down to those creeper plants with pooters and sweep nets. I thought we wouldn’t find anything, but to my amazement the students collected loads of crickets! I was befuddled, but rather pleased at the same time! We took them back to class and took a look at them. I later learned that day that my Science colleague had been using crickets in his lab the lesson before, and had just released them onto those creepers minutes before my kids came down swinging their sweep nets! Poor crickets – they’d been prodded and poked and released and recaptured and prodded and poked some more! We had a good laugh about it that afternoon! This short story teaches us that there are always benefits to using the school’s plant life, even if it’s skimpy. You never know what might come of it, even if a weird coincidence like the one just mentioned doesn’t happen. In addition, students will learn to appreciate their school environment even more than they did before. You never know what might happen, but when it does happen, use it! Teachers could show the students the photo and link it to curriculum areas. For example – The serpent in the garden that tempted Eve (Religious Education), an analysis of this snake species and it’s global distribution (Biology and Geography), adjectives used to describe this snake, such as ‘slithering’, ‘creeping’, ‘demonic’ and ‘scaly’ (English language). After the snake had been captured by the professionals who were sent in, it could have been contained in a glass tank and students could be allowed to visit the snake safely for a few days before it was taken to it’s new home. Great for primary kids! Where were you when 9/11 happened? I bet you remember – of course you do (if you were alive and conscious then). Unexpected events etch their engravings deep into the subconscious memory, allowing recall to take place decades after the event has happened. Surely, then, it is foolish not to make the most of the unexpected, if safe and practical to do so. As we’ve already seen, many curriculum areas can be supported in the outdoor school environment. Are you teaching IGCSE German? Take a walk around the school and get your students to identify key items, such as leaves, bricks, walls, grass and trees, in German. Maybe you’re teaching a History lesson about Offa’s Dyke path – why not get your kids to build a mini-dyke on the school field? How about mathematics? – Well geometry and shapes burst to life in both the built and natural environments. In short, there are always ways to use the school environment in your subject area. Build opportunities into your Schemes of Work and planning documents, book spaces in advance (e.g. the school field) to avoid clashes and be creative! Many of the learning games I use frequently in class, such as corners and vocabulary musical chairs (shown below), require lots of space. Why not take the kids outside to play these games from time to time? It’ll make the content more memorable and you’ll avoid problems such as trips and falls, which can sometimes happen in a cluttered classroom. Try doing a QR code treasure hunt around your school too! It’s great fun! Sometimes the best way to benefit from the great outdoors is to completely leave the confines of the school premises with your students. If you’re asked to go on a residential or field trip, or are responsible for planning one, see this as a tremendous opportunity to enrich various curriculum areas. With this kind of event, individual subject teachers are almost never consulted on what kinds of activities they would like to see happen. This is unfortunate. Try to involve all members of the teaching team in the planning process, so that maximum benefit can be made. Field trips and residentials often provide the perfect environment to get coursework done, for example, and are great for project-based work. Use the unexpected: Caught in a downpour? – go and collect some rainwater and test the pH, or use it as a symbol of cleansing in Religious Education, or talk about precipitation in Geography. The unexpected can often offer opportunities for serious long-term knowledge retention. Use the vast space that your school environment provides to play learning games and explore the richness offered within the school grounds. Plan field trips and residentials fully, so that key curriculum areas are enriched. As an author for the Times Educational Supplement teacher resources site, I was very excited to receive this month’s Author Newsletter. In it was a breakdown (the first of its kind), of all of the resources that are in the highest demand at different points in the year. For April, SPaG (meaning Spelling, Punctuation and Grammar) resources were listed as being bestsellers, indicating that demand for SPaG tips is high at this time of the year. I thought, therefore, it would be helpful to begin May with some great SPaG review tips and tricks. For those readers who are teaching a non-British curriculum, you may not be aware that SPaG tests are now compulsory in England at the end of Key Stage 1 (Ages 6-7) and Key Stage 2 (Ages 8-11). However, as a teacher who’s teaching Science and Mathematics through the medium of English, I vehemently believe that good SPaG teaching is the responsibility of all educators, whether you’re teaching small children, teens or adults. SPaG can be effectively reinforced in any subject area, and I’ve come to the realisation that I’ve actually been doing this for years, without calling it SPaG! A very simple game. All you need are post-it notes and a class full of energized students! Great fun. Perfect for reinforcing key vocabulary and concepts. I just played this last week with an AS-Biology class and they loved it! I love this one! It gets very competitive so be prepared for a noisy lesson! These are very powerful learning tools, but they are so underused in the teaching profession! Any AS-Level examiner will tell you that this is a common way in which international students lose marks in exams. So, how can I help this student now? The solution is simple and effective: she’ll have a special notebook in which she writes down all of the model answers to questions she gets incorrect in the intense past-paper practice we’ll be doing for the next month and a half. She’ll be keeping a ‘vocabulary journal’, and I’ll be checking it and sitting with her to discuss it each week. Journals are a great way for students to constantly review their understanding and knowledge of key vocabulary. With students who have very low English proficiency, you may wish to use journals from day one. With others, such as my AS-Biology student who only needs some ‘fine-tuning’, they can be used at specific points in the academic year. Elocution simply means modelling good speech. Elocution might seem like a silly way to review concepts that will be tested in a written exam paper. However, many studies have shown the remarkable benefits that elocution can have on spelling proficiency, as well as conceptual understanding. This is a classic technique, which can be applied to many subject areas. Share a large number of cards around your class (e.g. 32). Ask one child to read the definition on their card. The child who has that definition then has to read their word and also the definition on their card. This continues until all 32 words and definitions have been shared. If you complete it correctly, the game should end with the person who started it! Just filled to the brim with superb resources! Check it out! Brilliant all-in-one holistic resources, as well as specific items for spelling, punctuation and grammar. Well worth a visit! Some very fun and creative resources. More tailored for younger children, but well-worth a try with older kids too.